20 Tips to get Fair and Glowing Skin at home naturally ! Beauty means fair and glowing skin for every belle. Either you are student, housewife or working women each & every lady wants to look beautiful with fairness as well radiance. Everyone having their own natural skin texture, complexion and glow. Because of hectic lifestyle, pollution, suntan or stress etc. skin looses their charm and skin getting dull, tan and dry. No worries, take few steps to get your skin back with extra fair and glowing skin. For oily skin, Mix 1 tablespoon of besan, pinch of turmeric, few drops of lemon juice, sour curd mixes well and apply over skin before taking bath, pat dry for 15 minutes then rinse off.dnt apply soap over face. It will brighten your skin with natural glow. For Dry skin, Use wheat flour with milk cream and few drops of lemon juice and apply over face t get fair and glowing skin, it will enhance your complexion too. Oatmeal can be greatly exfoliates the skin to remove dull & dead skin. Twice in a week you can exfoliate your skin if needed. Within a week your skin will be supple and fair. Use wheat flour with Desi ghee and apply this mask on your face. Leave it for 10 minutes remove it by gentle massage, you will notice that your tan, suntan or dead skin getting removed and amazing radiance and glowing skin is reflected. Every morning before taking bath instead of soap you can use this home remedy. Fuller earth powder (Multani mitti) works wonder if your skin is oily.mix it with sandal powder and rose water. Apply and pat dry, wash your face once dry the pack. This pack is well known for glowing beauty. Scrub your face with 2 tablespoon of rice floor added with curd /Milk (oily/dry skin)gently massage this mixture, it will cleanse your skin pores too and prevent pimples. Apply once in a week this homemade scrub for smooth, supple and flawless beauty. Apply Curd with pinch of turmeric can give you instant glow. You can apply this anytime at night also; by regular using this home remedy your skin get fair and flawless. Mint has magical property for skin care. Make dry powder of mint leaves and store in jar. Whenever needed mix it with rosewater, leave it for 15 minutes then rinse off. Mint can cure pimple, acne and blemishes. It will lighten your pigmentation too. Pour few rose petals in milk and apply on your face for milky smoothness and pinkish glow. It can also be applied on your lips for pink lips. Rose and milk will enlighten your skin as fair. Apply raw milk with few drops of lemon juice on your face. You can use it while you cooking in the kitchen. Wash after 15 minutes and look fabulous, this will leave your skin silky and spot free. Lemon considers as natural bleach. So apply lemon juice on your face to lighten facial hair and pigmentation. it will remove suntan too. So fair & glowing skin is not far if you are using lemon in your beauty mug. Soak red lentil (Masoor dal) overnight in milk, grind it into paste in the morning and apply over face , just let it dry then rinse off with cold water. 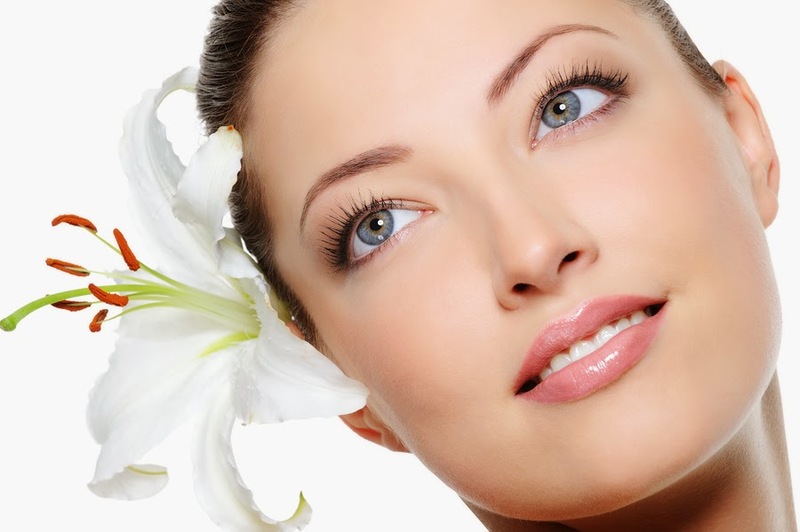 It is effective beauty tips for fair and glowing skin. 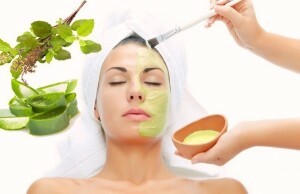 Make a face pack of malai, turmeric and olive oil, mix well apply by gentle massage over face. Pat dry for 20 minutes then wash with lukewarm water. You will definitely get moisturized, fair and rejuvenated skin. Malai acts as a natural moisturizer, while turmeric having Anti-biotic properties and olive oil rejuvenate your skin to make it healthy and glowing. Steam your face as often, if your skin type is oily then it is very essential step to get rid of pimples and acne. Mix some tulsi and mint leaves into water if already having acne/pimples. Use regularly then you will get the pimple free and acne free skin. Rub tomato slice over face. Pat dry then rinse with cold water. It is wonderful beauty tips or secret for oily skin. Tomato makes skin fair and glowing. It can reduce blackheads too. Apply coconut milk over face and neck too. This beauty tips can reduce scars, you can get fair and blemish free skin. Mix orange peel with curd and apply this face mask for 20 minutes. Once dry rinse it off with cold water. One of the natural and effective face masks for fair and glowing skin. Use egg white to apply over face in upward direction and leave it for 10 minutes then wash it off. It will tighten the pores, and delayed wrinkles. Ice cube can tighten you skin too. Rub an ice cube over your face and leave it naturally dry. It will increase blood circulation and will keep your skin hydrated, healthy and glowing. This can be ever used before applying party/bridal makeup. So take some steps in your kitchen only and can have a flawless and fabulous beauty and get compliments for your fair and glowing skin. One more thing Rome has not built in a day so please these beauty tips as home remedy opt as on daily basis so that you can get naturally glowing skin. Please feel free to share and discuss your thoughts, we’d love to hear. 10 Aloe Vera Face Packs for Every Skin Types ! 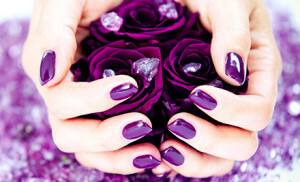 How to do Perfect Manicure at home like Salon!